2. Help two friends who are ill (one with cancer). I cooked for them and delivered food. 3. Take Shelley to and from equestrian boot camp. I have been home very little, and when I've been home I've been cooking. I am beyond thrilled that thirteen peeps linked-up to My Happy List! I promise I will visit you before the end of the day. Y'all have made me so happy! This is the first week in a very long time I haven't completed a book, so I'm recycling a post from two years ago. Please note that I need to take a blog break and focus on our home and family. Plus next week I'm helping Shanley Belle move into her new apartment in Tuscaloosa. I will be back next Friday, August 2, for Literary Friday. There will not be Happy List Link Party next week. Hopefully by next Friday I will have completed a book! July, 2011 I read The Provence Cure for the Brokenhearted by Bridget Asher. I want to warn you that if you have been grieving lately, the first 124 pages of the book might be a bit too intense because Heidi, the main character, is grieving over the death of her husband who died two years previously. They truly had a great marriage and loved each other very much. Some of the details about the marriage I find heartbreaking. I literally cried during a couple of passages because Heidi's memories of her late husband and her grief was too much for me. Making life even more difficult for Heidi is that her sister, Elysius, is about to be married, and Heidi is a bridesmaid. She is also worried for her seven-year-old son, Abbot. Abbot has been exhibiting signs of Obsessive Compulsive Disorder: He is obsessed with germs, washing his hands, and hand sanitizer. Heidi has also allowed her grief to hinder her creativity as she has not created a single cake at her business, the Cake Shop. Heidi and her husband Henry started the Cake Shop together. They both shared a love for cooking and pastries, and they even met in a kitchen. 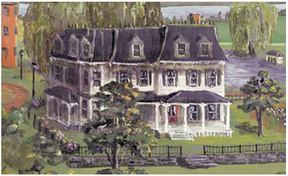 After Elysius's wedding, Heidi's French mother decides that Heidi should visit the family home in Puyloubier, Provence. The house needs work especially in the recently fire-damaged kitchen. Heidi decides that it will not hurt her to have a "lost summer" like her mother did when Heidi was thirteen. 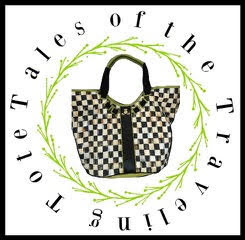 So she packs her bags and takes Abbot and her niece, Charlotte, to France. While there, Heidi regains her senses and feels alive again. She becomes interested in her creative outlet (baking), and throws lots of energy into renovating the neglected family home. She reconnects with the neighbors she knew as a child, and family secrets are revealed as Heidi and Abbot both heal. I love the setting for this book. Heidi's family home has a history, and most of the stories tend to be romantic ones. Marriages have been proposed, babies conceived, and love has flourished under its roof. 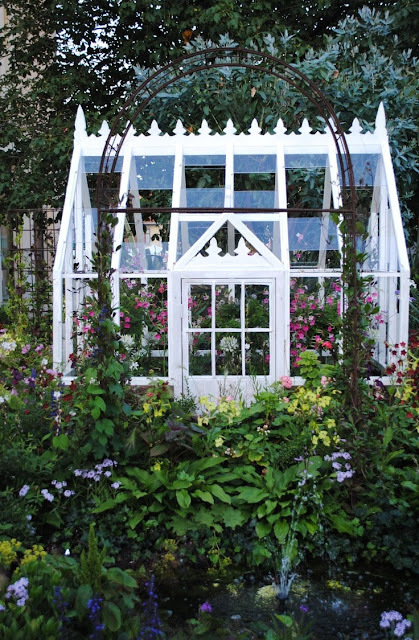 It seems that the house likes attention, and it fosters romantic feelings and desires in its inhabitants. 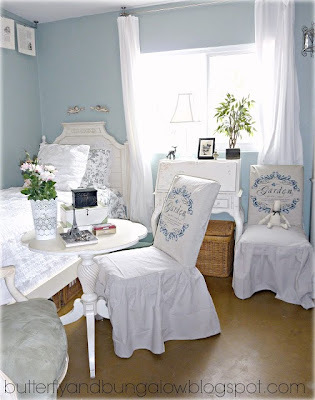 I adore books where the family homes are really characters rather than mere settings. I also enjoy books with a homecoming theme, so the whole idea of "returning to the home of one's heart can truly heal heartbreak" appeals to me. A glorious setting in Provence, struggling characters the reader roots for, a house that comes with its own set of lore, and a budding love story kept me reading late into the night. What more could I possibly ask for in a summer reading book? 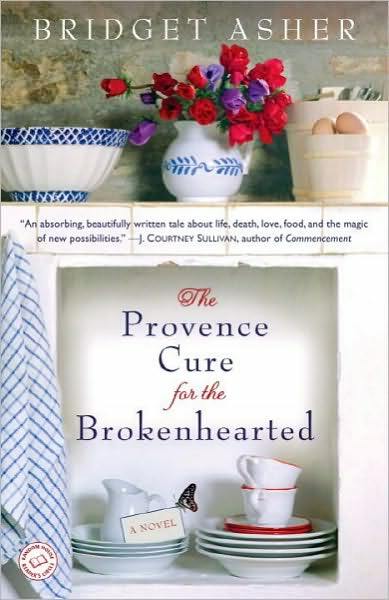 The Provence Cure for the Brokenhearted will definitely cure your Summer Reading List blues. Good morning, My Sweets! 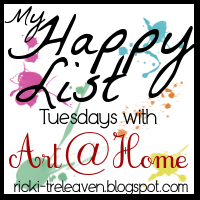 Welcome to My Happy List! 1. Family birthdays are over until October. YAY! We celebrated six birthdays within ten days, and I had a bad sugar headache over the weekend. I'm happy I celebrated birthdays with family and friends! 2. Shelley had another horse show Saturday, and she won equitation (again). YAY! She also won a second and a third in the course classes. I didn't get any good photos at the horse show, but I'm happy that my mother and grandmother came to watch Shelley ride. Shelley's blue ribbon from the horse show. "It's a bit startling to achieve global recognition (if that's the right word) before the age of thirty, on account of your sister, your brother-in-law and your bottom." I read an article claiming the book hasn't been well-received, and I'm truly shocked because it's a very down-to-earth, wonderful book on entertaining. It's family-centered, and the recipes sound very good. Organized according to season, it begins with autumn. 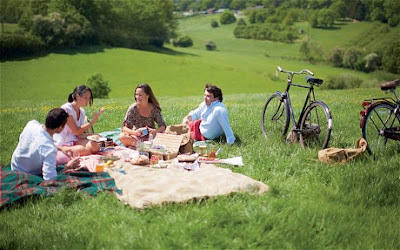 A few of my favorite chapters are Sunday Lunches, Burns Night, Special Breakfasts, and Picnics. Reading this book made me happy! 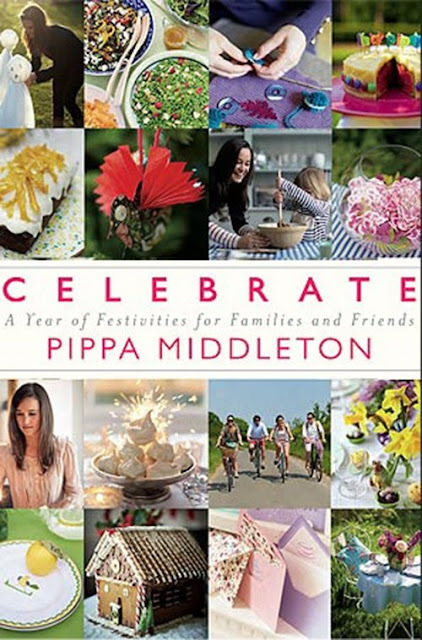 Pippa explains many British traditions and their origins, and I really want to host a Burns Tea this winter. The book is huge: There are 400 pages in it. The photography and styling are great! I hope you'll find a copy next time you're in a bookstore or library. 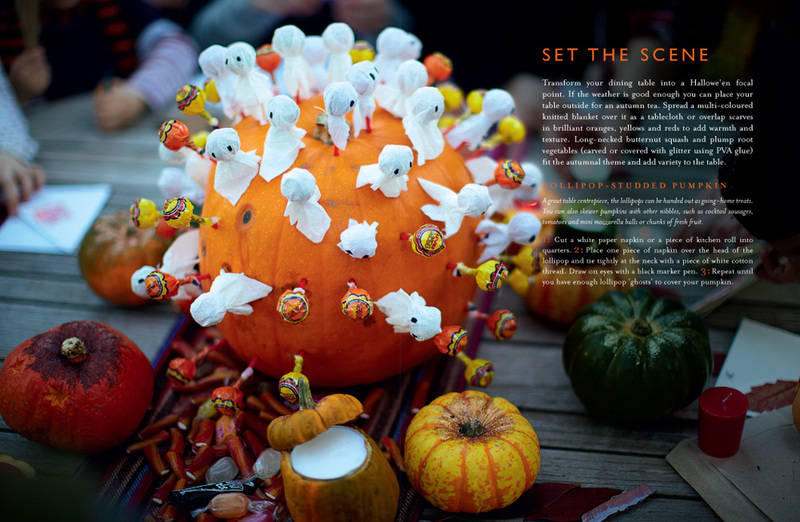 The Halloween chapter had great ideas for kids, and some of them were brilliant in their simplicity. I loved the picnic chapter! Congratulations to Pippa on becoming an aunt! 4. I was finally home to cook a meal! We enjoyed a simple soup and pasta salad. Cooking in my kitchen makes me very happy! I bought almost everything I needed for the salad at the curb market. This recipe is adapted from the Farmers' Market Pasta recipe from the June 2013 issue of Southern Living. You can see the original recipe here. 1. Toss together first 7 ingredients in a large bowl, and let stand 10 minutes. 2. Meanwhile, prepare pasta according to package directions. 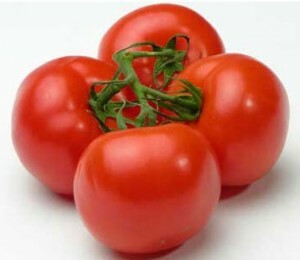 Add hot cooked pasta and chicken to tomato mixture; toss gently to coat. Season with salt and pepper to taste. Transfer to a serving platter, and top with basil and cilantro. Process Parmesan cheese, olive oil, lemon zest, lemon juice, balsamic vinegar, garlic, pepper, and salt in a blender or food processor until smooth. Add basil and cilantro; pulse 5 or 6 times or just until blended. This is one of the very best vinaigrette dressings *ever* :D Delicious dressings make me very happy! The recipe makes a whole lot of salad! 5. 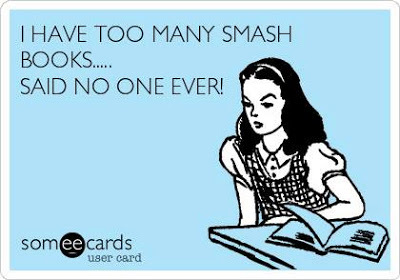 I've been smashing up a storm with my Smash books. I'll share tomorrow! :D Smash books make me happy! UGH! Sorry for the grammatical errors. That's what happens when you write a post at midnight! If you find any others, let me know in comments. ....and I have no milk for my tea. But I'm not going with the expected "Rainy Days and Mondays" by The Carpenters. Oh, NO! I'm not. I need something cheerful for this craptastic day! *giggles* Got to LOVE this this tea infuser! It would make a great stocking stuffer. I confess that I've been a smashing fool lately. I was buying some supplies, and I found the mini books. They're great! They'll both fit in my purse. One I'm using for art inspirations, and the other one for lifestyle inspirations. The blue mini book is in 3D and comes with glasses! I might use this one for my art inspirations journal. I confess that I'm worried about Bonnie Blue's sanity. She came in from sunning herself on the deck, stretched out on the floor, and stared at reflections for a very long time. 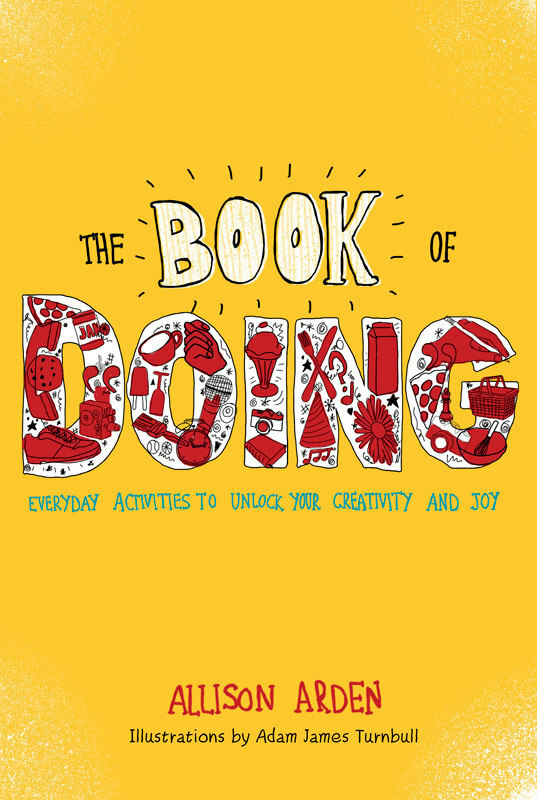 I confess that I really needed the challenge today in The Book of Doing. Today's challenge: Remove these three words from your vocabulary: can't, never, and stupid. Are there any other words you want to eliminate? Yes! I'm so happy you asked! There. I feel so much better! I confess that my daughter is listening to a dramatic reading of Fifty Shades of Grey read by Ellen Degeneres. I guess I'll be cutting this post a bit short as I must needs confiscate a laptop! What do you have to confess this week? Join Aubrey @ High-Heeled Love and share! Happy Friday morning, Lovelies! I know, I know....I keep getting later and later with these Literary Friday posts, but I know you'll cut me some slack since it's summer! We've had so many birthdays this week: Shelley's Sweet 16, my sister-in-law's, Mr. Art @ Home's, my friend's and her daughter's, and today is my mom's birthday, but we'll be celebrating tomorrow after a horse show. Can we possibly fit any more into a week? I've been reading a lot this summer during Shelley's tutoring sessions at the library. I'm far behind in posting about these books, so I might start writing about two books per Literary Friday post. 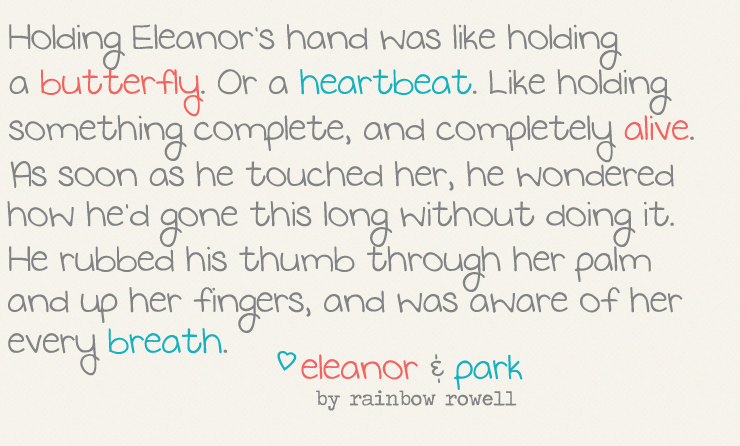 One book I want to share with you this week is Eleanor & Park. Our If You Give a Blogger a Book...Club read it this month, and I've been wanting to read it because it's set in the eighties. I went to HS and college during the *best decade ever*, and I'd read a few reviews that made the book sound very promising. I must confess that I almost put the book down in the beginning because the language was terrible. I know that bad language is much more accepted now than then, but quite frankly, most teens did not talk like that in the eighties. Everyone talked like Moon Unit Zappa, or wanted to at least. But I digress....the point I'm trying to make is that the language didn't add anything to the story, and it's almost like it was added to the first part of the book as an afterthought because the language improves for the rest of the book. 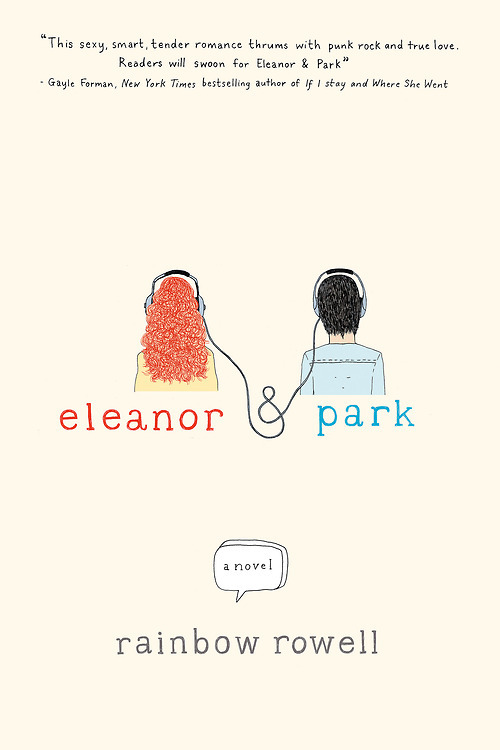 Eleanor & Park is a very sweet story about two misfits who fall in love in the mid-eighties. When Park first sees Eleanor at the bus stop, he becomes angry with her because he thinks that she's asking for abuse the way she's dressed. As an added bonus, she has unruly, fiery red hair. There are few seats left on the bus, and Park usually sits by himself. He pities her to the point where he offers her a seat beside him. They soon bond over Marvel comics (I was a Marvel girl, too) and The Smiths, and quickly become boyfriend and girlfriend. 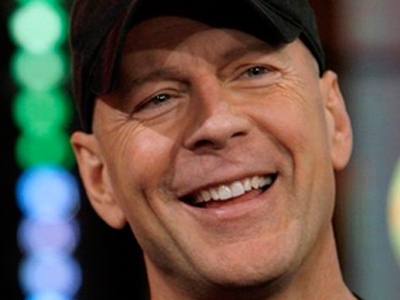 I love Park's character: He is the boyfriend who we all longed for in the eighties. He's kind, generous, and protective. Eleanor needs someone to protect her because her home life is abominable. Told alternately in Park's and Eleanor's point of view, Rowell reveals each character's yearnings, angst, and fears masterfully. I normally don't like multiple POV's, but Rowell nails each fully-developed character, and I don't think it would have been as good had she stuck to one POV or written it in third person. If you skip over the horrible language in the beginning, I think you would love the story. It is well-written and so sweet. I do not recommend this book for younger teens at all due to mature themes (abuse) and language. 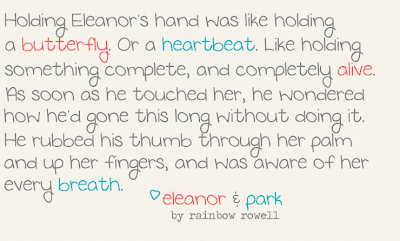 Pure Imagination blog has a cute post inspired by Eleanor & Park. I hope you'll check it out! Mia @ The Chronicles of Chaos sent me The Fourth Fisherman for the Books 'n' Bloggers Swap @ Chaotic Goddess Swaps. I don't normally read memoirs, but I really enjoyed this one. Mia said that there are some things that can only be explained by God, and in the case of the events depicted in this book, I couldn't agree more. 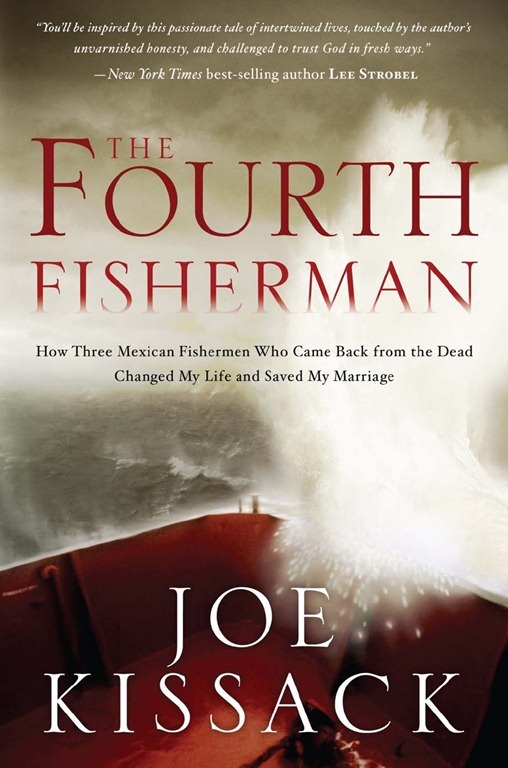 In The Fourth Fisherman, Joe Kissack weaves his story with the story of the Mexican fisherman who miraculously survive in a tiny boat for more than nine months in the Pacific Ocean. The real story of the fisherman's survival and faith become an allegory to the struggles Kissack faces as he almost dies from substance abuse and practically loses everything. 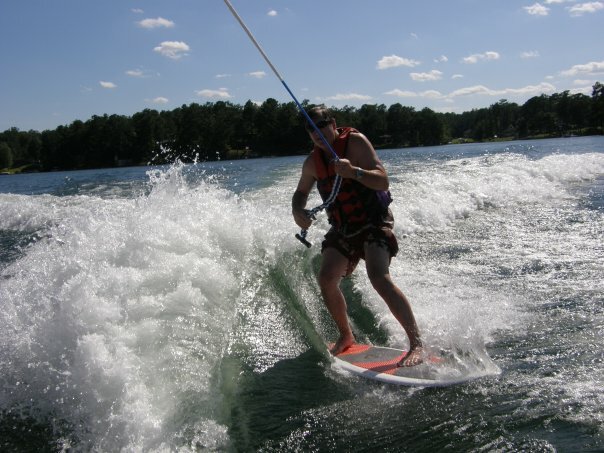 During his recovery, Kissack's priorities drastically change, and he commits his life to a higher purpose. He becomes obsessed with the story of the fisherman's survival and faith in the midst of dire circumstances. Kissack's obsession with the Mexican fishermen takes him to Mexico where he meets them and secures the rights to share the story of their faith to the world. The book hasn't been made into a movie yet, but I hope it does because it's a great story. Kissack seems very honest in his portrayal of his life, both before and after his friend shares his faith with him. But Jesus and the fisherman aren't the only heroes in this book. Joe's wife, Carmen, is a superstar, and I would love to have a friend like her! 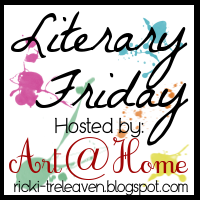 Please share your books here @ Literary Friday! I will be back on Friday with my Literary Friday post in the morning and Friday Confessional in the afternoon. In the meantime, I'll try to visit some of your blogs and see what y'all have been up to this week! I've been tagged by a couple of folks, so I thought I'd play along. 1. How did you get started blogging & what keeps you doing it? I started blogging after major surgery because I was bored. I continue blogging because of the friendships and because I learn so much from y'all! 2. What do you think makes you unique? My twisted sense of humor! 3. What's your favorite thing about yourself? 4. Where do you see your blog in 5 years? I have no idea. I hope that it's about the same, but I want to focus a tad more on art. 5. What's the best tip you've ever received about blogging? 6. How does blogging affect your real life and vice versa? Blogging rarely ever affects my real life. Sometimes reading other blogs does because sometimes I'd rather do that than watch horror movies. Real life impacts my blog because I usually blog about whats going on in my real life. 7. What is something you're actively working toward and how are you getting there? I'm working on getting my youngest daughter prepared for college. I'm getting there through placing her in a good school, tutoring, and giving her opportunities to compete in horseback riding at a higher level. She wants to ride for a college team. 8. What is your absolute beauty must have, and why? 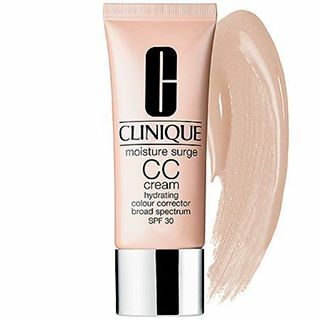 I wear Clinique's CC Cream for the sunscreen and light coverage. I don't wear any base with it. I can see an improvement in my skin! 9. If money wasn't an issue, what would you run out and buy right now? 10. 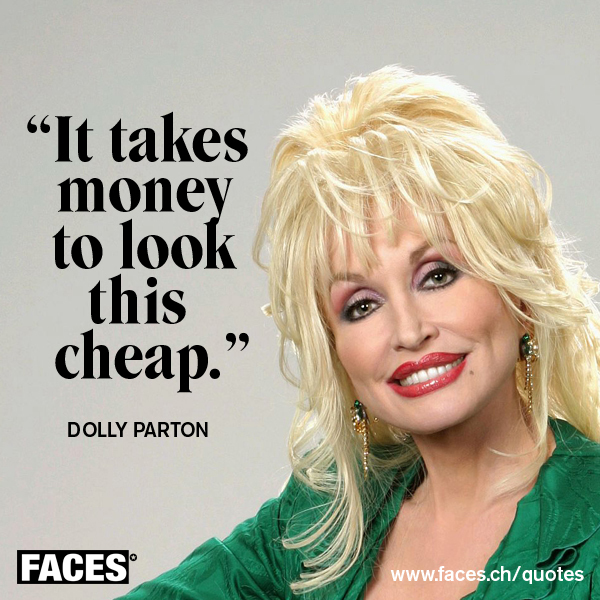 What is one beauty tip you feel that everyone should know? 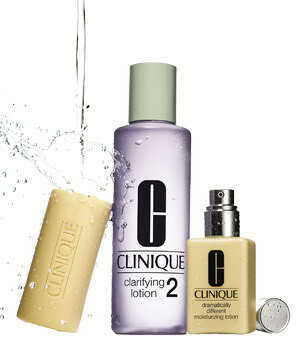 I have used the Clinique Three-Step System since I was thirteen. It includes soap, then a chemical exfoliant, and moisturizer. There is a system for every single skin type, and I started both my girls on it when they turned thirteen. We all have pretty complexions because of these products. They aren't cheap, but they last a very long time! 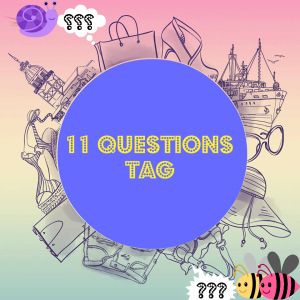 11. Who's your freebie (if you're married-the one person/celebrity you can cheat with without it being cheating) or you're single, your number one celebrity crush? Mary also tagged me with A TO Z questions. Number of brothers and sisters? Mr. Art @ Home's shenanigans. Please, my lovelies....please answer these questions...it will be so much fun for us to read them! No pressure, seriously....play if you want! Although Alabama is my home, Arizona is the home of my heart. Today is Mr. Art @ Home's birthday. I'll post some photos later. I'm going to the studio this AM, and then coming home to bake treats and cook a fabulous dinner. 1. White on Rice Couple made some delicious Grilled Tomato Lollipop Toasts. You must try their recipe! 2. Check out this enchanting tween's room from Butterfly and Bungalow. 3. The ladies at Ivy and Elephants have created the most AH-dorable bubblegum machine. It's fun and glamtastic at the same time! 4. 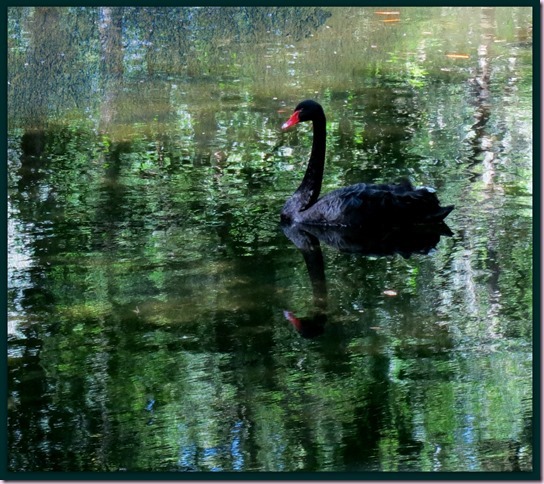 Diane @ Lavender Dreams took the personal photo challenge for birds, and she nailed it! I want to paint this black swan! 5. 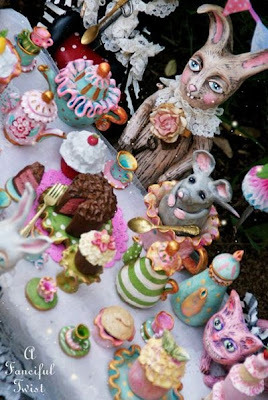 Finally, Vanessa, our Mad Tea Party hostess @ A Fanciful Twist, made every little item at her mad tea party, from the characters to the cups and food. She'll be selling the pieces at her shop soon! Thanks for hosting, Angie and Aubrey!